Possible owner financing with acceptable terms! Looking for a 4 bedroom 3.5 bath home in a great Greer neighborhood for 200k? You have found it! 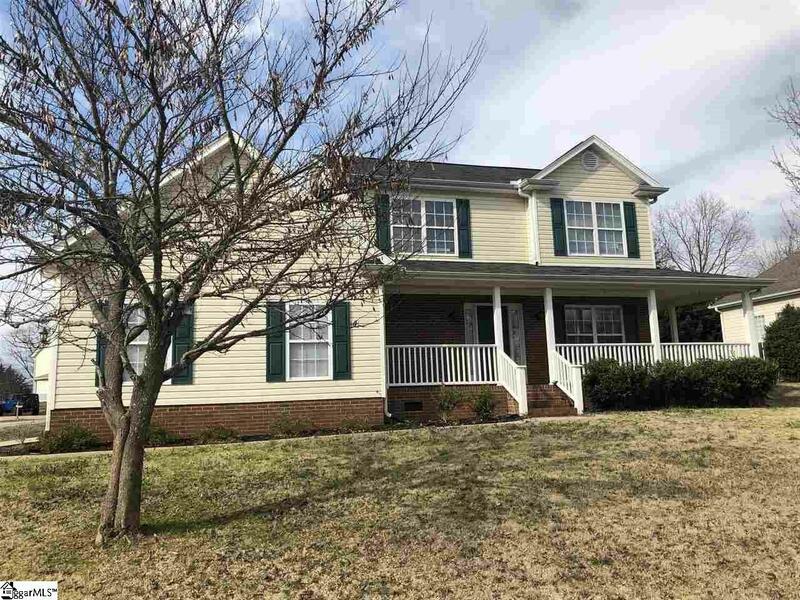 Tthis traditional two story home with its adorable wrap around porch and level lot is conveniently located close to Wade Hampton and all the restaurants and shopping between Greer and Taylors. Home has a large bedroom on the main level (currently being used as a playroom) with a full bath that could be perfect for guests or an in law suite. on the main level you also have an open kitchen, eating area and great room with gleaming hardwoods and a gas fireplace. There is also a laundry and half bath on this level. Upstairs there and 3 more bedrooms including a HUGE master bedroom with a full bath. There is another full bath on this level also. There is also and deck off the eating area for those weekend cook outs. Call today for a personal viewing! Listing provided courtesy of Amy Parham of .